Laconia, NH (03246)TodayMostly cloudy early, then clearing overnight. Winds WNW at 5 to 10 mph..TonightMostly cloudy early, then clearing overnight. Winds WNW at 5 to 10 mph. 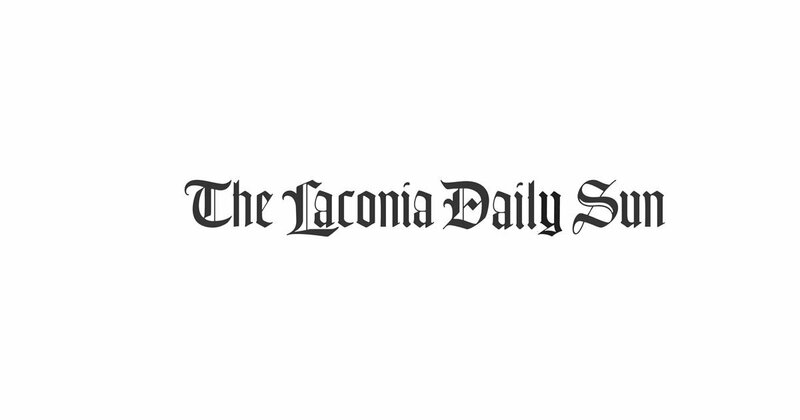 Laconia, NH (03246)TodayCloudy early, becoming mostly clear after midnight. Winds WNW at 5 to 10 mph..TonightCloudy early, becoming mostly clear after midnight. Winds WNW at 5 to 10 mph. Millat, who heads the IPU Advisory Group on Health, organised a consultation workshop at the Bangladesh Parliament building bringing together MPs, senior health officials, former director general for health services, experts, donors, UN agencies, and media on Wednesday. They gave their opinion and insight for IPU resolution on the UHC which means that all people receive the health services they need without suffering financial hardship. It includes, according to the WHO, the full spectrum of essential, quality health services, from health promotion to prevention, treatment, rehabilitation, and palliative care. As a lead rapporteur, he is now developing the first draft of the resolution which will share with IPU members to collect their comments before presenting it to the 141st IPU general assembly in October 2019. “This IPU resolution as a global tool will facilitate better engagement of the parliaments and parliamentarians on the UHC across the world,” he said. File photo of State Minister for Power and Energy Nasrul Hamid Dhaka TribuneHowever, fresh gas connection will be provided to the industrial zones, says the state ministerState Minister for Power, Energy and Mineral Resources Nasrul Hamid on Wednesday categorically said that no household gas connection will be provided in the future. I’m clearly saying that no gas connection will be provided to any house from now on,” he said. The state minister added that fresh gas connection will be provided to the industrial zones and the pipelines were being installed to ensure uninterrupted gas supply to the industrial zones. Responding to queries from lawmakers during Wednesday’s session, he said uninterrupted power supply would be ensured across the country during the Ramadan. The government is also trying to ensure uninterrupted gas supply during the Ramadan, Nasrul added. Maybe I should not have married.’”Neglect, abuse and tortureWhile breaking down emotionally Mila continued her story: “Too soon the torture began. She said ‘you always return home late, so you cannot enter.’ I spent the entire night in the car crying. I was starving and thirsty for the entire night, but he did not even offer me a glass of water. His colleagues at US Bangla went to visit him in jail, and assured him that the Managing Director of US Bangla Mamun is handling the matter himself. I have seen a text message on his phone where US Bangla pilot Rezwan Ahmed wrote: ‘Dost (Pal), I did not know you were in jail. File photo Syed Zakir Hossain/ Dhaka TribuneThe number of power plants has increased to 108 from 27 since the Awami League government came into power in 2009Bangladesh has touched a new high in electricity generation. The power plants produced 12,057 megawatt (MW) electricity on Wednesday — a new record, according to the Power Development Board. “It was the highest power generation in the country’s history,” PDB spokesperson Saiful Hasan Chowdhury told Bangla Tribune. The number of power plants has increased to 108 from 27 since the Awami League government came into power in 2009. More plants hiked Bangladesh’s power generation capacity to 20,000MW from 3,000MW, according to Prime Minister Sheikh Hasina. The move, which the New Zealand immigration agency estimated would cover about 190 people, followed public pleas from survivors and family members of the victims for certainty about their immigration status. The government did not publicly announce the offer for permanent resident visas. Those applying for the permanent resident visas will essentially have their applications rubber-stamped. A number of those in the mosques were already permanent residents of New Zealand and do not need immigration help. For those under 25, siblings and grandparents living in New Zealand can also receive the visas. Barisal University students on Wednesday resort to hunger strike till death for the removal of Vice Chancellor Prof SM Imamul Huq Dhaka TribuneAgitating students went on hunger strike till death from Wednesday around 10am in front the academic building to press home their demand. Deadlock situation at Barisal University (BU) campus continued for the 29th day on Wednesday to press home their demand for the removal of Vice Chancellor Prof SM Imamul Huq. Agitating students went on hunger strike till death from Wednesday around 10am in front the academic building to press home their demand. BU students began protests on March 27, when VC, Prof SM Imamul Huq, said students who had foiled an Independence Day program were “razakarer bachcha," or, the children of Pakistani collaborators. On March 29, Prof Imamul Huq expressed his regret about his comment, saying it was misunderstood by the students.